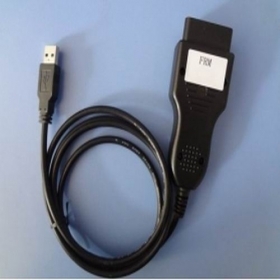 UFODIAG ELECTRONIC TECH CO.,LTD, established in 2006, main business is producing and selling original diagnostic tools, fault code readers, auto key programmers, chip tunning tools and other auto diagnostic scanners. With the best quality and lowest price, We have our UfoDiag’s clients coming from all over the world. UfoDiag are their trustable supplier with top quality, best service, competitive price. We sell you tools and provide you technical support for free of charge, and then you can do repairing work by yourself, no need to pay professional repairmen for expensive repairing cost. Are you an online shop owner, or an eBay seller? And you are hunting for a super quality auto diagnostics wholesaler? Then you come to the right shop, we ufodiag are available with wholesale dropship service. That is, your customers pay you for their favorite tools and you order goods from ufodiag.com at low prices even on small quantities. We help you do the work of packing the goods and send them to your customer - in your name, you need not worry about quality control, stock, packing, and shipping, but concentrate your attention on your online shop and your customers. In addition, if you need, we offer you free and qualified technical service, and more benefits at your favor. Besides we can be your source for ECU chip tunning, key programmer, mileage correction, auto fault code reader,auto diagnostic software, and more tools. UfoDiag Mainly offer: Launch X431 Diagun , Launch X431 Master , AUTOBOSS V30, Auto Key Programmer, Odometer Correction tools, tango key programmer, Citroen Peugeot KM tool, Ford KM tool by OBD, Immo Bypass Device, VAG KM+IMMO TOOL BY OBD2 1.6, 2012 Release2 Autocom CDP Pro+ 3 with LED , Carprog 4.01 full, Tacho V2008 Plus, Renault+Nissan Key Prog 2-in-1, Ford-VCM OBD, Powergate master V3.86, EWS Editor, VAGTACHO version 5.0, VCDS FRM 11.11.1, VCDS 11.11.3 German Version,and more useful diagnostic tools. UfoDiag's Belief: Honesty first, Customer foremost, Management scientifically, Pursuance excellently! UfoDiag's target: we offer all the diagnostic tools working fully, and our target is your satisfaction! With years of experience in trading auto diagnostic tool for cars, trucks and motors, our servicing products have involved in a vast collection of categories. So far, we have been well-received and win a good reputation overseas, everyday hundreds of customers with their diverse and demanding needs enter into ufodiag. Why this happen? We are constantly taking our customers into our heart with emphasis on products good quality, quality and performance of product is always our top-list work. We do not want to sell our customers products with poor quality that fail to work and take them much trouble, even if several unstable products did, we will sacrifice one poor items to reship them a good quality one, this is our forever promise to our customers. Ufodiag provide full qualified support to all our customers to help them how to use our featured equipments. All our tools we supply come with the latest version, step-by-step installation guide, guiding videos, months warranty and free support via email, MSN and Skype, so that our customers receive the best out of our service. As usual, upon confirming customers' payment, we will promptly ship out the orders within two days by the most fastest way, we want to our customers receive their packages sooner than expected and in appropriate packaging. Since we have enough stock, besides we support several shipment options, it is very easy to ship the orders to anywhere you may be located. We target our customers all of the world, our obd2 tools are well-received by a large number of customers worldwide, they are from Southeast Asia, North America, South America, Oceania, Europe and the other parts of the world. We ship all our tools to anywhere in the world in bubble wrapped package, and our customers receive their items safely, quickly and in perfect condition. We support several safe and secure payment, T/T, Western Union as stated in the Payment section. We are sure they are the most used and most safe payment options. We are always doing our best to take our customers a safe and easy shopping experience. Our most products guarantee is 12 month. Before shipping out, all goods have been double verified by ufodiag.com. Our test engineer will check for quality, including check the basic function of the hardware and software, the appearance, the packing, the necessary accessories and power adapter plug standard. Once confirming the tools can work well, our test engineer will paste our own label in the form of month/date/year on every product. Above five answers ,it is ★★★★★, our ufodiag.com online shop is ★★★★★ shop.